Manumycin a is an antibiotic that acts as a selective and vigorous inhibitor of Ras farnesyltransferase. Manumycin may exhibit synergic effects on the Paclitaxel as cytotoxic and antiangiogenetic agents. Some derivates of Manumycin have been reported for their anti-parasitic / anti- protozoal activity. 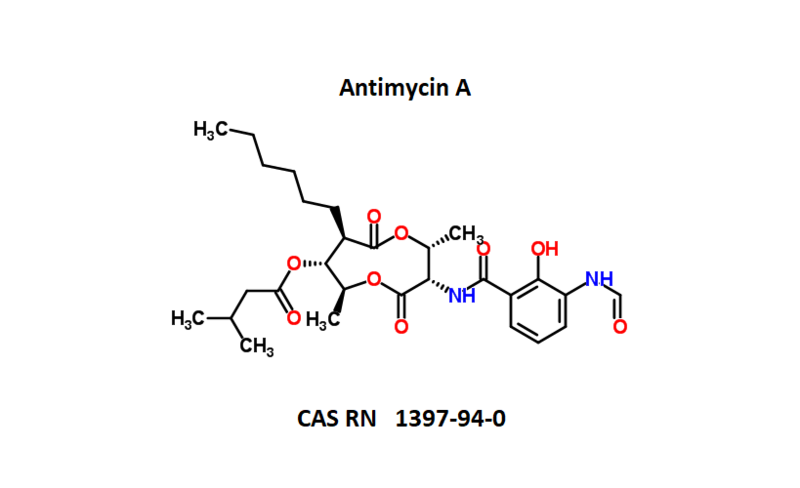 An antibiotic with antitumor properties. A cell-permeable potent and selective inhibitor of farnesyltransferase (FTase; IC50 = 5 µM) compared to geranylgeranyltransferase I (GGTase I; IC50 = 180 µM). Manumycin acts as a competitive inhibitor of FTase with respect to farnesylpyrophosphate (FPP; Ki = 1.2 µM), but acts as a noncompetitive inhibitor with respect to the Ras acceptor protein. Reported to inhibit the growth and invasive activity of pancreatic cancer cells.